Whether you’re an eager P-plater or your growing family needs a vehicle upgrade, buying a car is an exciting time. But like with any big purchase, you’ll need to answer some key questions before you go shopping. Before you sign on the dotted line at the car dealership, make sure you’ve weighed up the pros and cons of buying new or used. Shiny, brand new cars usually come with a big price tag. If saving money is a factor in your decision making, you can save thousands on a used car. This is by far the main benefit of buying used. If you’re looking at cars ten years or older, this will not apply to you. However, in today’s market, a lot of new cars come with a five-year manufacturer’s warranty. If you’re looking at a three-year-old used car that still has its original warranty, you can transfer this into your name, and protect yourself in case of unexpected breakdowns. Buying a lemon is a huge concern when it comes to used cars. Unless you’re shopping at Dodgy Bros. Car Dealership, reputable used car dealers would have checked and performed necessary repairs or maintenance to the car when it originally came in. Check that this has occurred before driving away, as this will give you a sense of security and peace of mind. If you’re buying a used car, there are simply no guarantees that the car is going to run well for the next five, ten or twenty years. You can never know how the previous owner drove the car, and whether they handed it in because it became a problem. RateCity recommends having a trusted mechanic look over a used car before purchasing. If staying in budget was a key factor to your decision, the savings you made buying used could quickly go towards continued repairs and maintenance. These are things you will need to perform sooner than if you had purchased new, including new tyres, new brakes, transmission flushes etc. Unless you’re extremely lucky, you’re probably not going to find that exact shade of bright pink you’ve always dreamed your Volkswagen Beetle would be. Realistically, when shopping around for used cars what you see is what you get. Used cars give you less choice or customisable options than are given to new car buyers. If your heart is set on a specific feature, you may be better off buying new. Buying a car is a highly personal decision, and there are several factors that need to be considered before deciding. 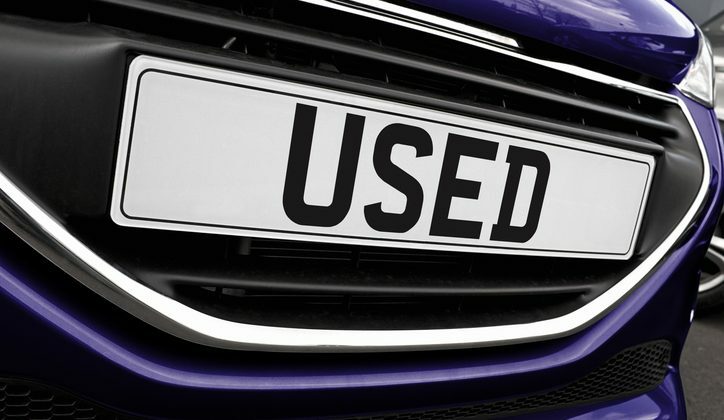 However, when it comes to new vs. used car debate – don’t rule out a three to four-year-old used car. If this is something you or your family can afford, you will be able to take advantage of a discounted price, while knowing that the car will be new enough that you (hopefully) won’t be driving away with a lemon. Further, if the car still has its original warranty, you’ll be able to transfer this to yourself and enjoy added peace of mind. Car manufacturers are luring motorists with a combination of low-interest finance deals and other offers in an effort to stimulate a flat market, experts warn.